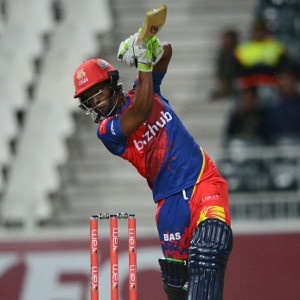 Cape Town - Mangaliso Mosehle's half-century paved the way for the Highveld Lions to record their first victory of the RAM SLAM T20 Challenge season as they cruised to a seven-wicket win over a poor Cape Cobras in Johannesburg on Friday. The visitors were sloppy in the field, taking wickets off no balls and spilling catches at crucial junctures as they remained winless after two games. After winning the toss and batting, the Cobras posted a competitive 169 for six at the Wanderers Stadium, which was built around a half-century from captain JP Duminy, who also made 55 (31 balls, 3 fours, 2 sixes). There were also starts for Hashim Amla (36), Wayne Parnell (33) and Temba Bavuma (28), but none of their batsmen scored with the fluidity that would have taken them closer to a stronger total of around 200. Kagiso Rabada impressed with the ball by taking two for 19, while there was also two for 25 from skipper Aaron Phangiso. Reeza Hendricks provided the home side with a good start thanks to his 42, but the Cobras then had chances to fight back into the game when Mosehle was dismissed by Mthiwekhaya Nabe via a no ball when he was only on 10. Omphile Ramela, who went on to make an unbeaten 30, was also handed a lifeline when Richard Levi dropped him at slip when he was on two - just two of the many chances that were wasted by the Cobras. Mosehle was eventually dismissed for 55 off 36 balls (4 fours, 3 sixes) as the hosts won with seven deliveries to spare.